I know I'm not the only one who finds this word verification frustrating, the picture above sparked this post. I've seen other posts and comments calling on bloggers to take it out. 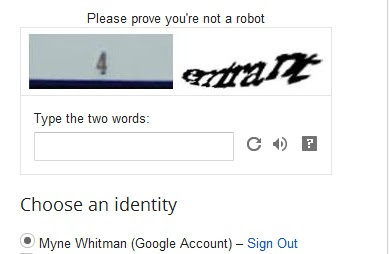 Especially with the the new word verification captcha system that has two words, and sometimes even numbers in a box! On a few occasions, it takes me 2 or 3 tries to get it right and I've even lost one or two comments because I couldn't get it right or I decided to move on and leave no comment. 16 Comments, Add Yours and Share!